Don’t destroy the American Dream. San Diegans are urged to join this “Rapid Response” action at Duncan Hunter’s office, located at 1870 Cordell Court, #206 in El Cajon, at 12 pm. These Rapid Response actions are being organized by the “Rebuild the American Dream” movement, organized by MoveOn and a host of other progressive groups nation-wide. *Theme: *MoveOn members will receive an e-mail blast asking them to show up to their local GOP office at 12 pm local time on Tuesday. *Q: What’s the exact message of this event? *A: As we all are aware, things are being hammered out this weekend and we’re still waiting to find out exactly what situation we’ll be in on Tuesday. As a result, we’re carefully monitoring all the latest, and by Monday we will have the most up-to-date message that is politically relevant. This is one of those times in organizing where we need to exercise our flexibility muscle: by getting ready to act on Tuesday, and knowing that we will have the message fine-tuned on Monday — that will have the most impact. So………we’re upset about something the Republicans have done but we’re waiting until Tuesday to see what it is? We are upset with the Republicans and the Democrats. Looks like the vote will take place today. Those who organized the Rapid Response felt the pressure should be on the Republinuts as the main obstacles. Can u post the Moveon.org email? Need the message in order to show up focused. Malcolm, go to the link in the post – that should answer all your questions. Looks like we got a invite to a jobs fair? Perhaps we should go and protest this event? With one in ten San Diegans out of work, getting the economy back on track is one of my top priorities. So is putting San Diegans back to work. That’s why on August 26, 2011, from 9am to 12pm, I will be hosting my second job fair for 2011 at the Cuyamaca College Student Center in El Cajon. Whether you, or someone you know, are looking for work or interested in a career change, I hope you will stop by and speak with some of the participating businesses. In fact, companies from across the county are expected to attend this fair and have opportunities available in a variety of jobs sectors. Attached is a copy of the flier, which contains additional details, including parking instructions. Should you have any questions, feel free to contact Andrea Jones in my El Cajon office at Andrea.Jones@mail.house.gov, or 619-448-5201. I look forward to seeing you at this event. The event information is also available on my website, http://www.Hunter.House.gov, where you can also sign up to receive periodic updates on my efforts in Congress. 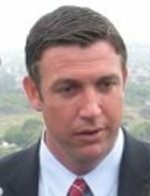 Great thanks for the heads-up about Duncan Hunter’s job fair at Cuyamaca College on Aug 26th.